Ouch. We have all heard that sound when you kerb your wheel. Just look at this. Painful. 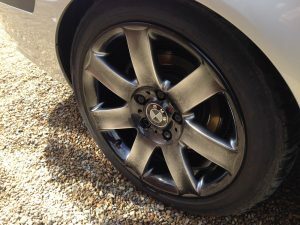 I am currently using the best wheel refurbishing company out there (in my humble opinion). 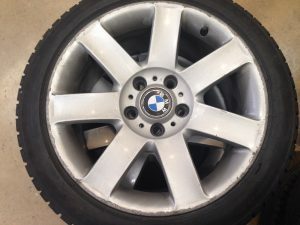 They will genuinely transform your kerbed / damaged wheels. Please do get in touch if you would like me to organise a refurb for you. Look at the result on my wheel! (with the special effect as well).